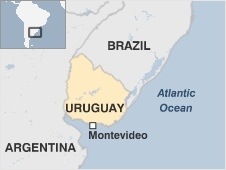 The first Football World Cup was hosted in Uruguay in and they also won it! People love to drink maté here! (You can read more about Lewis the Lion’s experience of this when he visits Buenos Aires).